The sellers, the Diaz family, wisely chose to dispose of the vacant land during this all-time-high market conditions to an end-user who appreciated the property’s features and location. 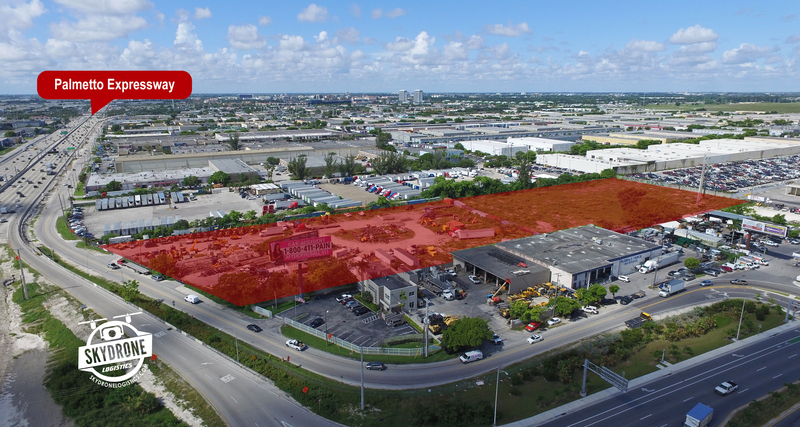 It is challenging to find available, industrial land anywhere in South Florida. Especially land that has the heavy industrial zoning and within unincorporated Miami-Dade County. IU-3 is the heaviest zoning with the least restrictions. Not having the additional regulations and bureaucracy of a municipality is also a value to the new ownership. The buyer, Synergy Equipment, had been in the market for several years looking to acquire an industrial site about this size. They intend to construct a warehouse facility for their heavy equipment business. Synergy was represented by JLL. Visit their website at www.synergyequip.com. ComReal represented the sellers. The Diaz family are longtime friends of Ron Redlich and Ed Redlich with ComReal. Chris Spear and Edison Vasquez were also on the selling team. “Industrial development has reached its western boundary near the Everglades. The future will be in-fill development within central Miami-Dade County.” – states Ron Redlich. For more information on the industrial real estate market in Miami, please call 786-4333-2380 and/or visit www.ComReal.com.